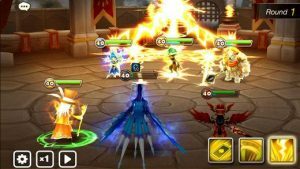 An action-packed fantasy RPG with over 70 million Summoners around the world! Most games like this involve a lot of waiting around and watching adds but this one doesn’t have adds at all and always has something new to do. There are always goals you can be working towards for high rewards. Not to mention the beautiful art, especially for an iPhone game. There’s such a large variety of well designed monsters that it makes you want to keep playing until you get them all.